TM1Connect is a middle-tier application that provides translation services of multi-dimensional data in IBM Cognos TM1 into a format readily consumed by tabular or relationally oriented applications, such as QlikView, Tableau and Microsoft Access. TM1Connect understands cubes, dimensions, hierarchies, and attributes to quickly and easily transfer this information into an easy to use format for consumption. 1.Define the data to be exported from TM1 and schedule it for the desired frequency. 2.Load the exported data into the application using standard import capabilities as you would any flat file data source. 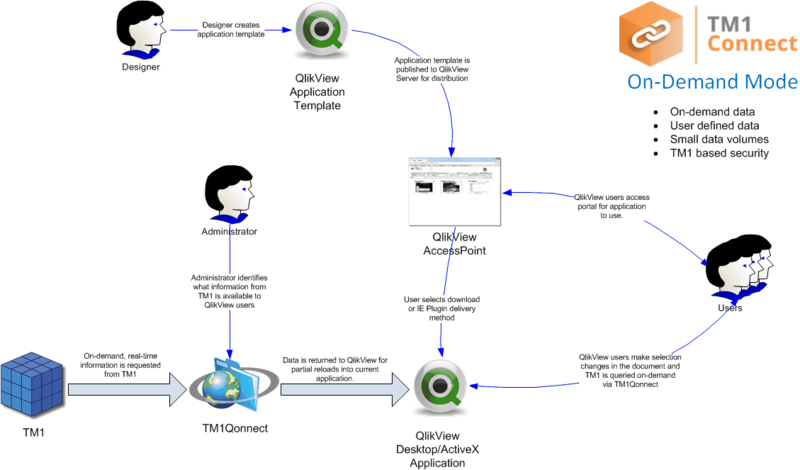 3.Publish the QV document incorporating the standard QlikView security mechanisms. 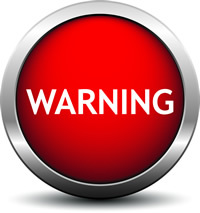 TM1 security does not play a role in Batch Mode, in fact, QlikView users do not need to have access to TM1 in order to leverage this information. 4.Publish the QV document to the access point portal for use by Desktop, ActiveX or Web users. In this mode, the TM1Connect administrator defines what data is available for users to use as well as how the data is structured. Depending on how TM1Connect is configured, users can connect to TM1 by either using their TM1 credentials (integrated login or username/password), or the administrator can use a predefined account in TM1 on the user's behalf. If your organization allows users to create their own QlikView documents, any published views will now appear as a data source in QlikView when using the TM1Connect plug-in. If TM1Connect is configured to use a pre-defined username and password to connect with TM1, these credentials will be used to determine what data the user has access to based on the security settings in TM1. All other configurations will use the current user's credentials to determine what data can be presented to the user, based on the TM1 security settings. 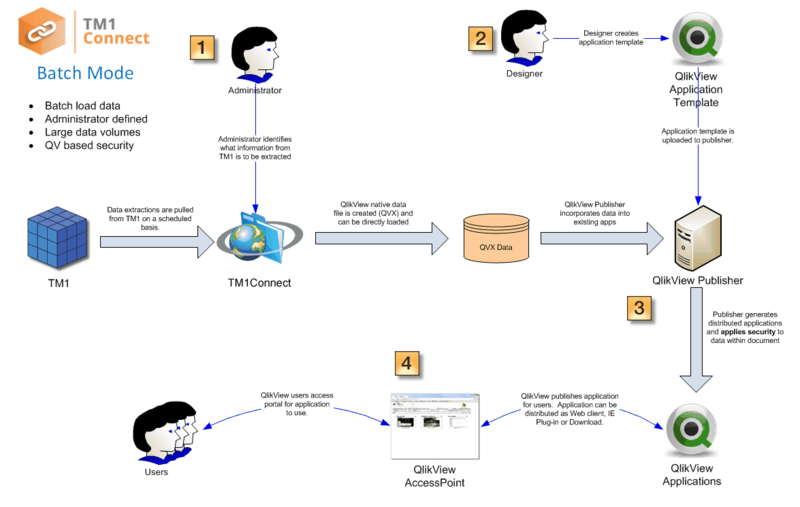 When creating and publishing QlikView documents on behalf of users, additional steps may be required to ensure users can only view data for which they are authorized by TM1. 1.Define the data to be exported from TM1 in TM1Connect and publish it to make it available to users. 2.Create the QV application template that uses this information in the QV document according to standard QlikView procedures. a.The QlikView document must perform a reload of the TM1 data when the QV document is first opened or displayed. b.Publish the QV document to the access point portal for use by Desktop or ActiveX clients only. QlikView does not support user-initiated reloads when using a web client. Failure to perform a reload of the TM1 data when the QV document is first opened will result in cached data being held in the QlikView document; the same content as when document was originally authored.